This PDF 1.4 document has been generated by / PDFsharp 1.31.1789-g (www.pdfsharp.com) (Original: Mac OS X 10.10.1 Quartz PDFContext), and has been sent on pdf-archive.com on 29/08/2015 at 05:24, from IP address 45.36.x.x. The current document download page has been viewed 582 times. File size: 5.8 MB (288 pages). WRIT TO REGISTER TRADEMARK WITH U.S.P.T.O. named Pactum De Singularis Caelum. 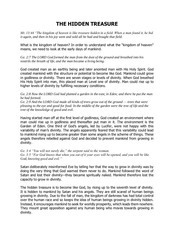 the original at http://one-heaven.org/covenant/ should be relied upon for authenticity. This file has been shared by a user of PDF Archive. Document ID: 00298486.